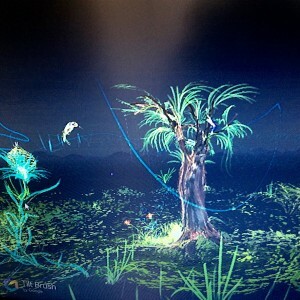 Virtual Umbrella / Blog / Putting the AR in Art, what does the future hold? The immersive industries move fast, every day we see new innovations in the fields of VR, AR & AI, all bolstered by media intrigue and public support. While we continue to traverse this exciting new frontier, we increasingly see these technologies integrating with our daily lives, through the apps we use every day and the technologies we utilise to work, socialise and learn. One group that have never been traditionally at the forefront of emerging technologies are artists. But their modus operandi of breaking convention and subverting norms allow us a fascinating insight into how these technologies could be utilised in the future, as they did theorising on how they would be used in the past. From Tron to Minority Report, Lawnmower Man to Neuromancer we have romanticized the concept of Augmented and Virtual Reality in the arts, media and literature for decades, but now that the technology has caught up somewhat with our imaginations, where do we stand as consumers of art in this brave new world? The ideologies behind immersive artistry are certainly not new concepts. Creating ‘another’ unseen world and blurring the lines between reality and non-reality can be thematically traced back to the work of French sociologist Jean Baudrillard in his seminal postmodernist work Simulacra & Simulation, published in 1981. Here he talks of a ‘hyperreality’, in a nutshell, how we can find it difficult in technologically advanced postmodernist societies to differentiate between what is ‘real’ and what is not, and how this disconnect affects our daily lives. Sound familiar? This blurring of perception has recently accelerated with the recent introduction of more accessible VR/AR/MR hardware. The advent of which we have already seen with the recent release of a range of mixed reality headsets and upcoming wearable AR hardware from Facebook and Apple. It’s safe to say we are now entering a new age, one in which the nature of how we consume art will change dramatically, taking us out of the galleries and into the hyper-real world. So what about from the artists’ point of view? 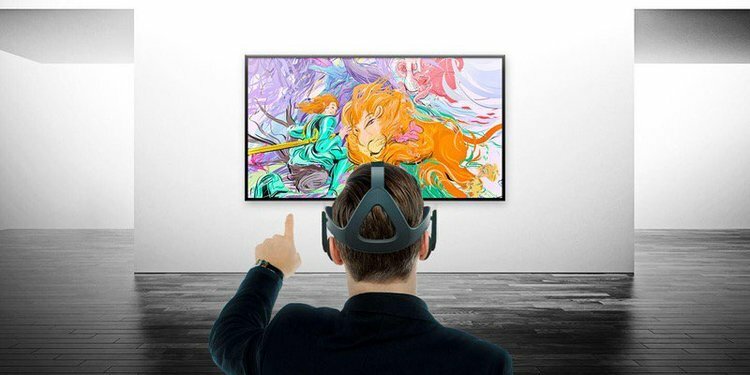 With popular VR art apps such as Tilt Brush & Quill, Google & Oculus have created a visceral new palette for artists to express themselves in real time, there is an immediacy to the process of creation in these apps that is not present in other immersive mediums such as AR. 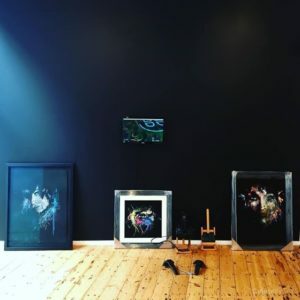 For visual artists such as renowned sculptor and painter Carne Griffiths VR is a golden opportunity for creators, “I can see many sculptural artists developing their work and enabling large scale projects through visualizing in VR” he says, “the immersive experience is something many artists strive to create”. VR technologies allow for new means of expression, but in the world of AR, the very nature of how we consume art is changing. Firmly cemented in the public’s consciousness after the wild success of Niantic’s Pokemon Go, we are now seeing AR being utilised to take artworks out of traditional gallery spaces and out into the world. 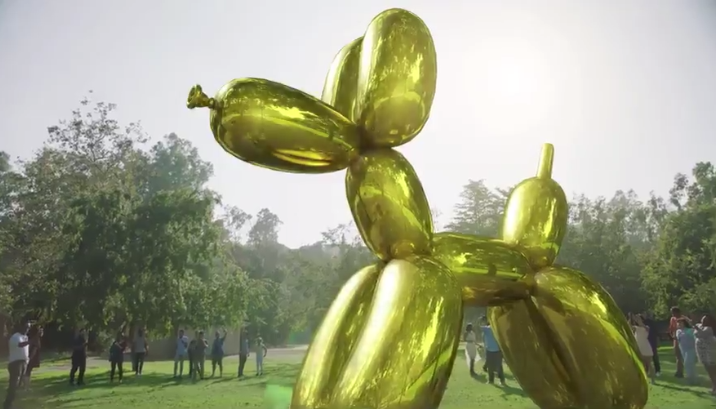 More recent examples of this include artist Jeff Koons’ iconic balloon animal sculptures rendered in AR on Snapchat, with Facebook looking to follow suit soon with their Facebook camera app. 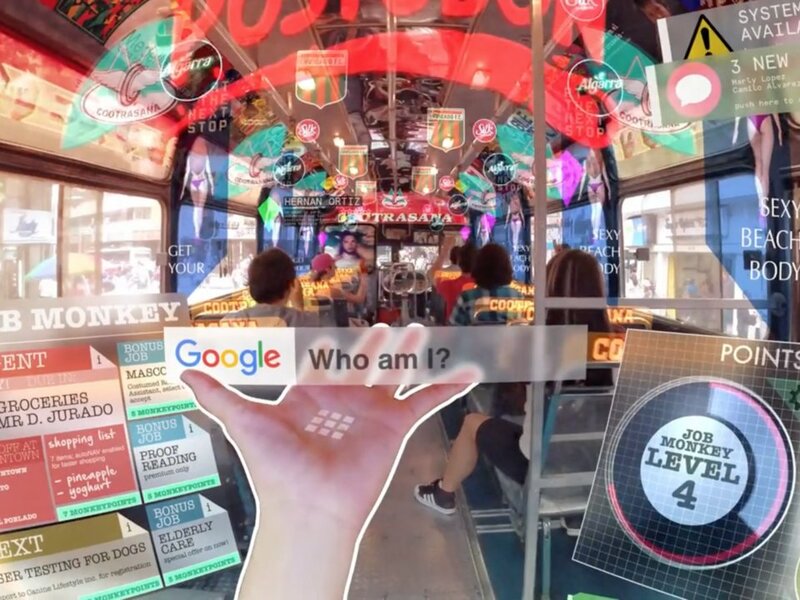 This is certainly an exciting development, and perhaps a realization of the dream of pioneering digital art collectives such as Manifest AR, who sought to create ‘interventionist artworks’ that occupy public spaces. 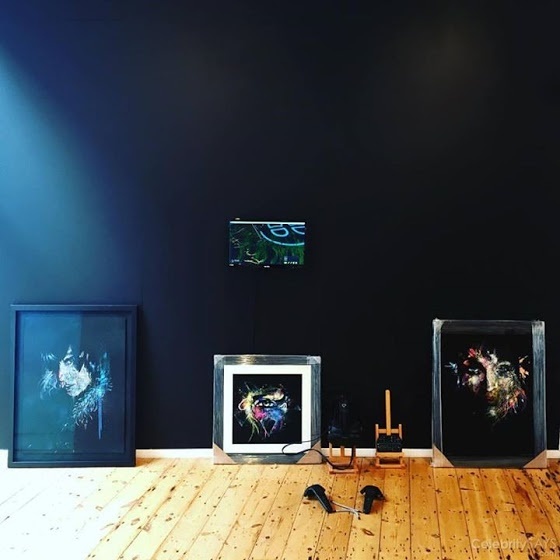 But there is an interesting trade-off here between the freedom AR affords to the artist, creating hidden infrastructure, accessible to all with a smartphone, versus the obvious marketing opportunities that these technologies offer to the companies that offer these services. Is this merely an opportunity to create ever more invasive advertising campaigns? We are at a stage where the focus is on technology rather than content, although this is slowly changing. Programmes such as Adobe and Google’s Artist in Residence initiatives (amongst a plethora of others) and organisations such as Rhizome, whose patronage of digital and new media art goes back to the mid-nineties are providing the infrastructure for immersive artistry to flourish. Even that behemoth of artistic showcases the Venice Biennale has dipped its toes into the immersive ocean. Try to imagine a decade from now. Once the technical infrastructure is in place for artists to really take advantage of the creative freedoms that immersive technologies afford, there will likely be an explosion of innovative content. Artistry and creativity create a sense of humanity amongst the zeroes and ones, and who knows, maybe we’ll finally get that killer app.